Last summer, we first saw word of a high-end, Linux-powered portable recording device called the Trinity. In case you wondered if that hardware was vaporware, Trinity Audio Devices’ Ronald Stewart writes to assure it’s not. 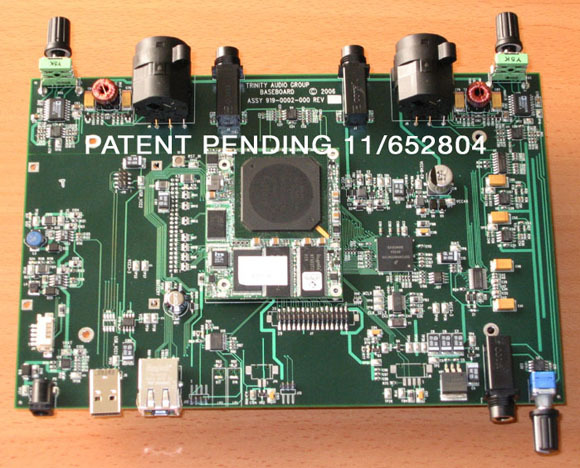 Trinity has also given CDM an exclusive image of the updated production PCB, shown below. Partnering with 64studio.com [developers of a native distribution of 64-bit Linux audio software] to maintain and tune the device to a better customer experience Going IceWM as a desktop and we have some other hardware features that we could implement in production. Also Daniel from 64studio seems to think this would make a great streaming audio device and some sort of a frontend server device. Audacity 2.0 will be bundled with qtractor and some other goodies. This addresses some of the areas in which specs were most thin in the original, so largely good news — I’m especially intrigued by the idea of using it as a streaming/server device.